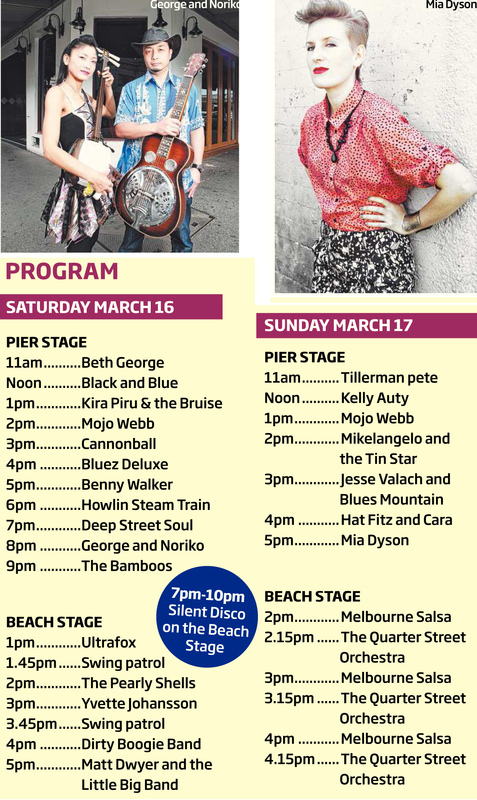 Pumped to be playing at the St Kilda Festival this year with my curly mate Adam K on the drums. Hold my calls, I’m an extra lovin man! 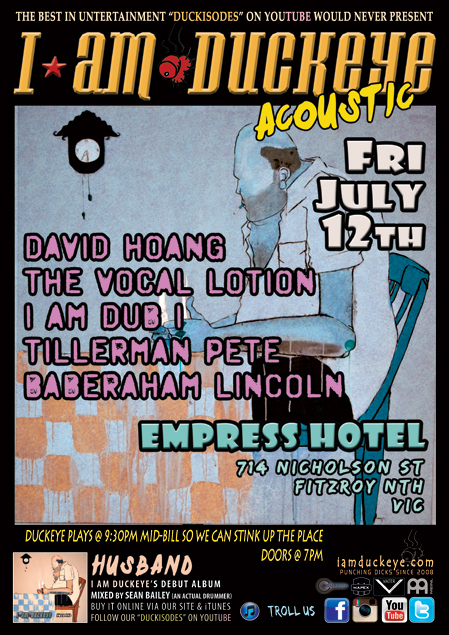 Playing “Live N Local” at Habitat HQ 2.30pm on Sunday 2nd Feb.
Adam’s working harder than a disk these days – he’ll be fronting The Romeo Knights at 5.30pm at the Prince Alfred Hotel. Be swell to catch em. Ooh yeah, part of MY Initiative’s fundraiser to raise funds for MYI to run a volunteer based weekend respite camp for teenagers with a disability. MY Initiative Inc. is a not-for-profit organisation that provides specialised services to people who engage in behaviour of concern. 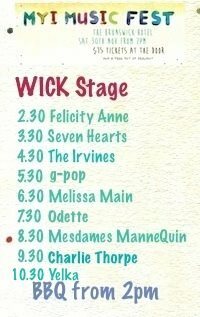 Two stages, great local music, iconic venue. Free pot with entry. See you there, by 9pm at the latest! 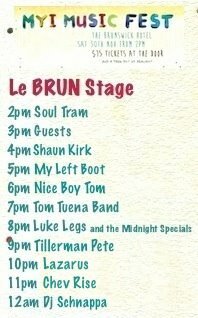 Chuffed to be part of the Leaps and Bounds Music Festival. 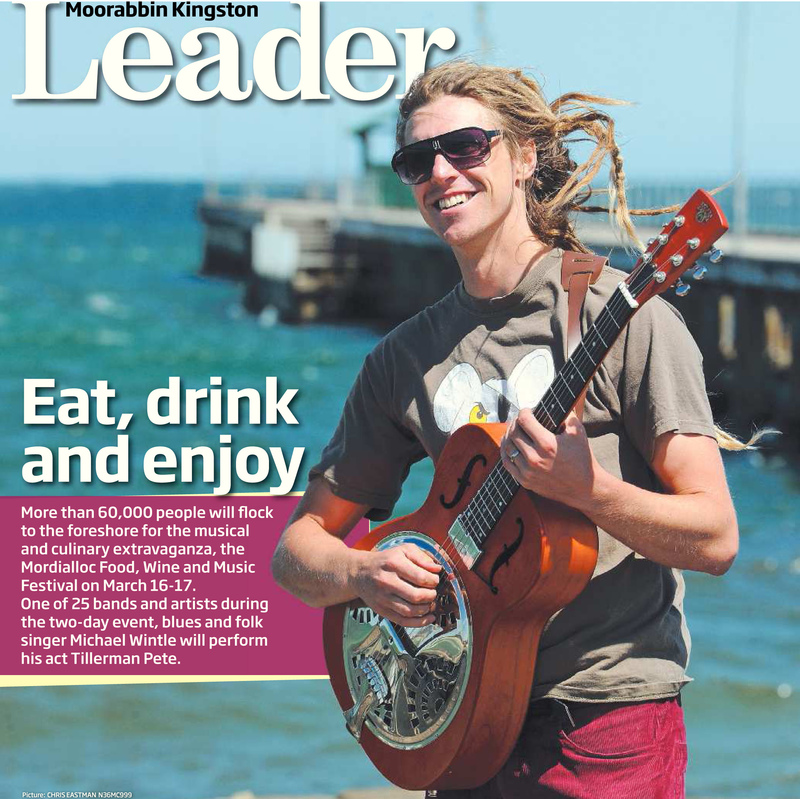 Tillerman Pete splashed liberally over the Kingston rag ahead of the Mordi Food, Wine and Music festival last month.